Our Outdo Yourself contest, which we ran late last year, was created to encourage people - just like you - to share their goals and dreams with us. As we all know, there are many factors in making a dream a reality including discipline, self-belief and persistence. At FerratumBank, we know that money is often another important factor, for example, money can help you say yes to an opportunity which then helps you to get to the next level, and the next, and so on. To participate in the Outdo Yourself contest, entrants had to record a short video of themselves telling us what their goal or dream is, why it´s important to them, and how money would help them achieve it. For some people it was a project they´d already started while for others it was something they´d always wanted to do but put off because they didn´t have the time or the means to start. Our goal was to encourage people to put their ideas into action. After reviewing each of the submissions, we would then award three winners with a generous grant along with the mentorship they needed to help achieve their goal or dream. In the end, we received so many inspiring and wonderful videos and were overwhelmed by the number of people sharing their dreams and goals - 133 videos from 18 countries to be exact. As soon as we´d completed the difficult task of selecting just three contest winners, we immediately realised that we could build on the positivity and momentum by highlighting more videos from our Outdo Yourself entrants. When it comes to educating and instilling positive values in younger people, we were inspired by the submission we received from Tihoni in Croatia. Tihoni´s goal is to create a picture book with hand-drawn illustrations which would then be distributed free to all 220 kindergartens in Zagreb, Croatia. The purpose of the book is to teach children about the importance of caring for and supporting elderly, handicapped, and homeless people. Tihoni´s story follows the life of a hedgehog named Spikiney who runs a soup kitchen that feeds the needy. One day the food is stolen, so Spikiney and his furry friends go on a quest to find the monster who took the food. 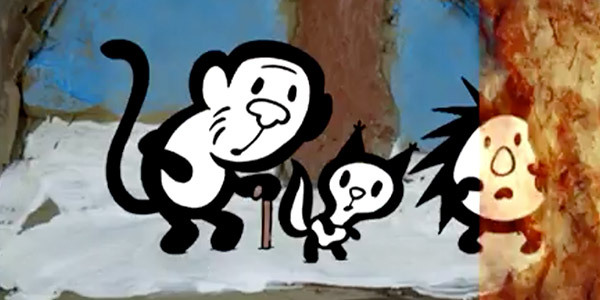 The trail leads them to a cave where they find the monster – a greedy fox – who they bravely stand up to and, in the end, Spikiney and friends manage to get their back food. Through his picture book, Tihoni hopes it will encourage children to grow up to responsible adults. We, here at FerratumBank, take our hats off to Tihoni for his desire to educate, help, and inspire others.